18109 Livernois Avenue Master Piece Office Space. The initial footprint of this location built in 1940 as a industrial distribution center, uniquely renovated retail business office center. Security shutters on ext., cameras and alarm, No incident. 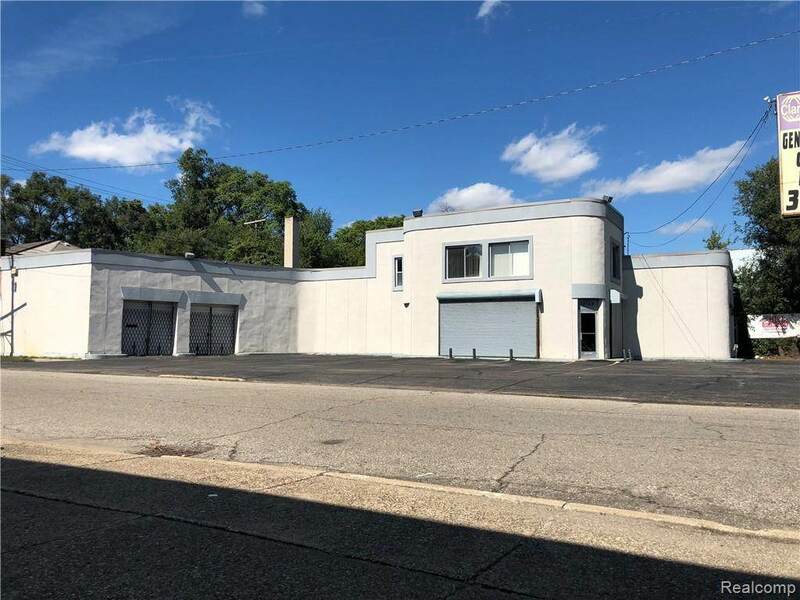 Garage warehouse space situated on opposite ends of the business retail center. New for 2018 is the 6 ton HAVC system, provides climate control heating and cooling. 5 private office suites, central task area, kitchen gallery, walk in vault. Upper level exclusive executive office space, conference room and private lavatory. Zoned B-2, building structure situated on two lots, Lot 66?x118?, spacious parking front of building structure. Centrally located on Livernois Avenue in the Bagley Subdivision, population density high, in close prox. to University of Detroit District, Sherwood Forest and Palmer Woods Community. 15 minutes from downtown Detroit, Ferndale, Royal Oak and Birmingham MI.This is a once in a life time great opportunity, Hot!! !